Powerful releasing of parts agarrotadas by the oxide. Anti-corrosive lubricant, a releasing, antioxidant, waterproof wet film, formulated to achieve a perfect protection of metals, machinery, hunting weapons, electrical equipment, etc, against corrosion. It is compatible with all types of lubricants. AUTOMOTIVE: Avoid the noise of all the joints. Displaces moisture on all electrical contacts so that allows you to boot with the DELCO WET. MARINA: Protective of the moisture in the devices exposed in cover and steam environment. 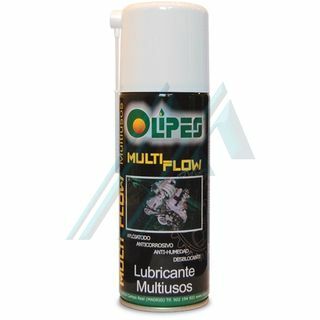 Prevents corrosion and lubricates the mechanisms exposed to the salt air atmosphere. HOME: Avoiding the “squeaks” of locks, hinges, sewing machines. Protects hunting weapons and other sporting goods.